Due to problems with a physical examination between the Orioles and free agent Balfour, both sides will not come to terms with a new contract. According to FOX Sports' MLB insider Ken Rosenthal, the team doctors were not satisfied with the results of the physical. Roch Kubatko of MASN first reported the issue between the Orioles and Balfour. USA Today also reported that both sides came to a two-year, $15 million contract agreement before the incident. Orioles executive vice president of baseball operations Dan Duquette says that Baltimore was not satisfied with the results of the free agent's physical examination. 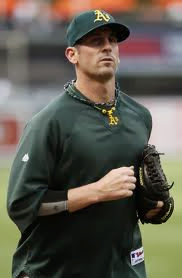 "The Orioles were disappointed we couldn't complete a contract with Grant Balfour," Duquette said in a conference call with ESPN.com Friday. 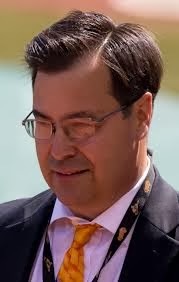 Duquette also said that the Orioles will "never close the door, but will turn our attention elsewhere." From Rosenthal's notes, Tampa Bay Rays physician Koco Eaton, who has worked with Balfour before, was surprised that the Orioles didn't close the deal with the closer. "Kind of a no-brainer," Eaton said about the contract offer. The Australian native finished the 2013 season with a 2.59 ERA while posting a 1-3 record and going 38-41 in save opportunities. He also struck out 72 with a .206 OBA in 62.2 innings of work. Balfour was a replacement pitcher for teammate Bartolo Colon in the 2013 All-Star game after setting the record for most consecutive saves for the Athletics on July 8. He also pitched three scoreless innings in last season's ALDS against the Detroit Tigers, collecting one win and one save. Balfour's agent, Steve Levinson, explained that Balfour's health is not a concern. "Grant is completely healthy and that was told to us today by Dr. Koco Eaton, a well-respected club physician," Levinson said on ESPN.com. "Dr. Eaton's opinion is based upon the fact that the MRI which was taken today is the same as the MRI which was taken in 2011 as a condition of the three-year contract that Grant signed with the A's." Levinson added on ESPN.com that the only reasonable conclusion was that the Orioles changed their minds at the last minute. According to Orioles beat writer, Dan Connolly of the Baltimore Sun, a possible replacement to fill the vacant closer spot is free agent Fernando Rodney. Rodney had some success in two seasons with the Tampa Bay Rays, finishing 2012-2013 with a record of 7-6 and a 1.96 ERA. He also allowed 96 hits in 141.1 innings of work and appearing in 144 games. MASN's Kubatko also reported that Orioles have checked out the medical records of free agents Joel Hanharan and Andrew Bailey as part of their search for a new closer.